Salonnieres, Furies, and Fairies is a study of the works of two of the most prolific seventeenth-century women writers, Madeleine de Scudery and Marie-Catherine d'Aulnoy. Analyzing their use of the novel, the chronicle, and the fairy tale, Duggan examines how Scudery and d'Aulnoy responded to and participated in the changes of their society, but from different generational and ideological positions. 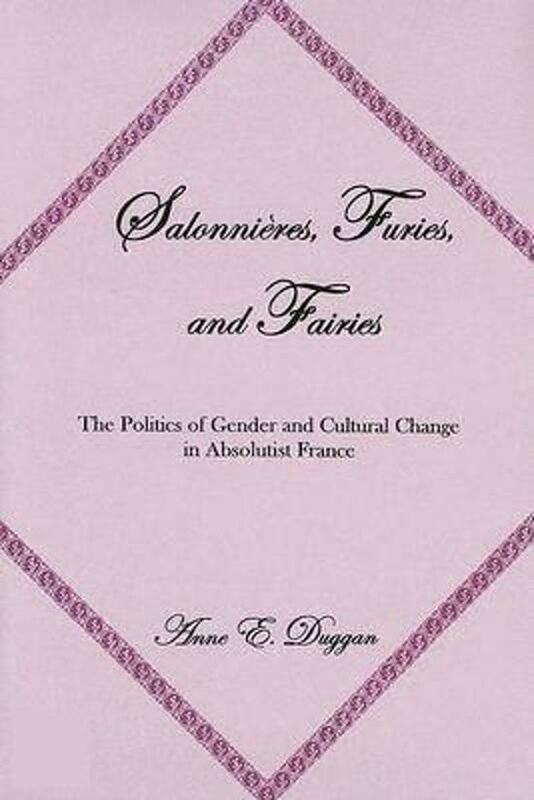 As both Scudery and d'Aulnoy wrote from within the context of the salon, this study also takes into account the history of the salon, an unofficial institution that served as a locus for elite women's participation in the cultural and literary production of their society. In order to highlight the debates that emerged with the increased participation of aristocratic or mondain women within the public sphere, the book explores the responses of two academicians. Nicolas Boileau and Charles Perrault, to the active presence of women within the public sphere.